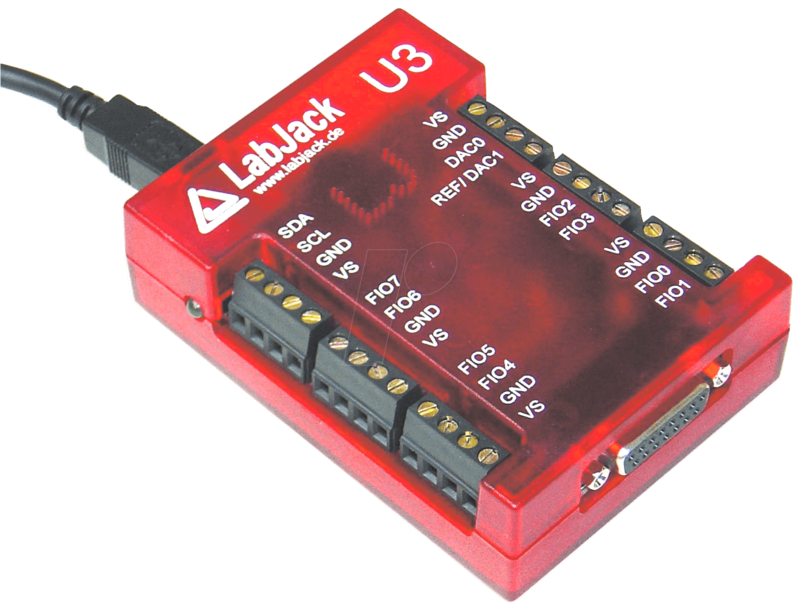 The LabJack U3 is the smallest module in the LabJack family. It provides everything you expect from a complete measuring laboratory: analogue input and output channels, digital channels and meters. Ideal for experiments, education and much more. Software: the required driver software is available for free download. DLL drivers for common programming languages in Windows, Linux and others. Examples for C/C++, Visual Basic, LabVIEW, Python and others. DAQFactory Express from Windows 2000.